Year: 1895 Item #: 364 Views: 3,461 Comments: No Comments. Shine like Patent. Will not Crack. Every Pair Guaranteed. 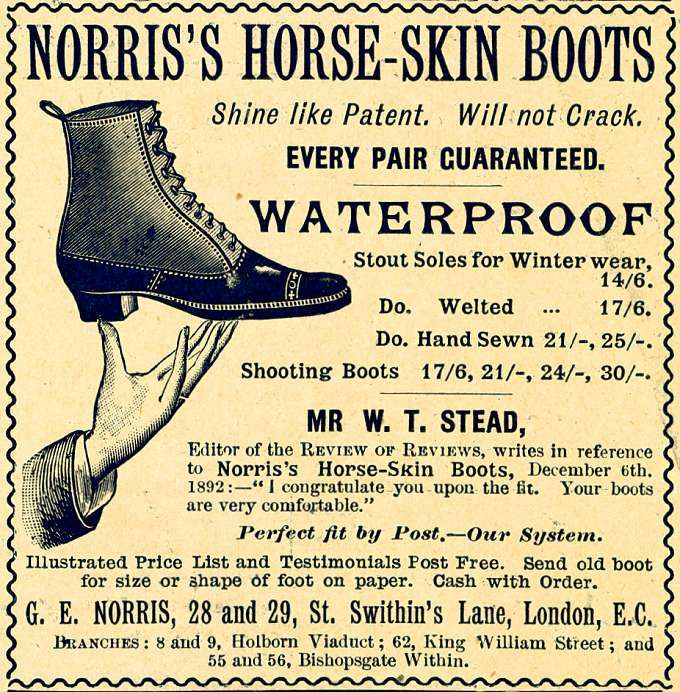 Waterproof - Stout Soles for Winter Wear.